Background: C-reactive protein [CRP] levels increase to hundreds of mg/mL within hours following infection. Studies have shown that serum CRP levels were elevated in periodontal disease. However, in all the previous studies, CRP levels were measured by using high-sensitivity CRP assay kits with minimal detection limits of 0.1 to 3 mg/L, which was much below the normal value of 10 mg/L. These high-sensitivity CRP assays need a proper laboratory setup, and these methods cannot be used as a routine chair-side test in the dental office. Aim: The purpose of this study was to investigate the serum CRP levels in subjects with periodontal disease by using a rapid chair-side diagnostic test kit with a lower detection limit of 6 mg/L and to compare the CRP levels before and after periodontal therapy. Materials and Methods: A total of 45 systemically healthy subjects were selected for the study. Subjects were divided into three groups: group A: healthy controls, group B: gingivitis, group C: periodontitis. 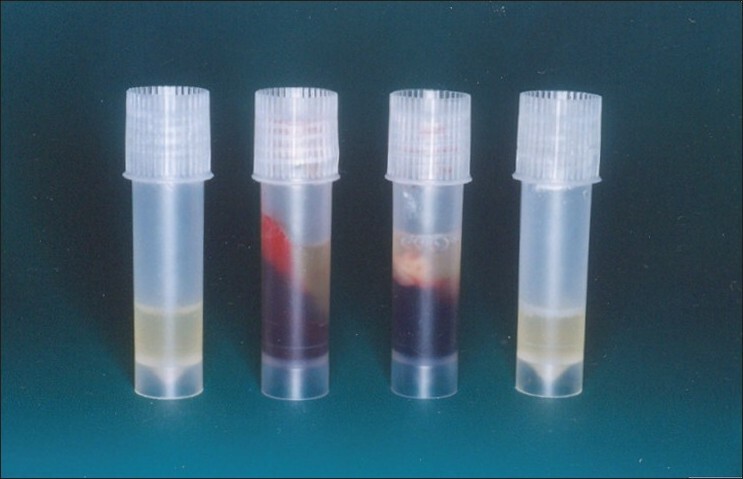 Serum levels of CRP were determined by using a latex slide agglutination method with commercially available kit with lower detection limit of 6 mg/L. Results: CRP was negative in all the 15 subjects in groups A and B at baseline, 7th and 30th day. CRP was positive only in 2 subjects in Group C at baseline and 7th day. Conclusion: Estimation of serum CRP by using a rapid chair-side diagnostic test kit is not of any significance in subjects with periodontitis. Background: Obesity is emerging as a significant health problem worldwide and is a risk factor for various systemic diseases. Periodontal disease is a multifactorial inflammatory disease. Recent evidence points to a link between obesity and periodontal disease, and a role for tumor necrosis factor-a (TNF-a) has been suggested. Materials and Method: Forty nondiabetic subjects were divided into two groups: group A (non-obese) included subjects with body mass index (BMI) of 18.5 to 27 kg/m2, and group B (obese) included subjects with BMI>27 kg/m2. The BMI, TNF-α levels in plasma and Periodontal Disease Index (PDI) scores were assessed, compared and correlated. Results: Significantly higher PDI scores and TNF-α levels were found in the obese group as compared to those in the non-obese group. Also, a significant and positive correlation was seen between BMI and TNF-α, TNF-α and PDI as well as BMI and PDI. Conclusion: Increase in the levels of tumor necrosis factor-a in plasma and an increase in the severity of periodontal disease may be seen in subjects with a higher body mass index (BMI). 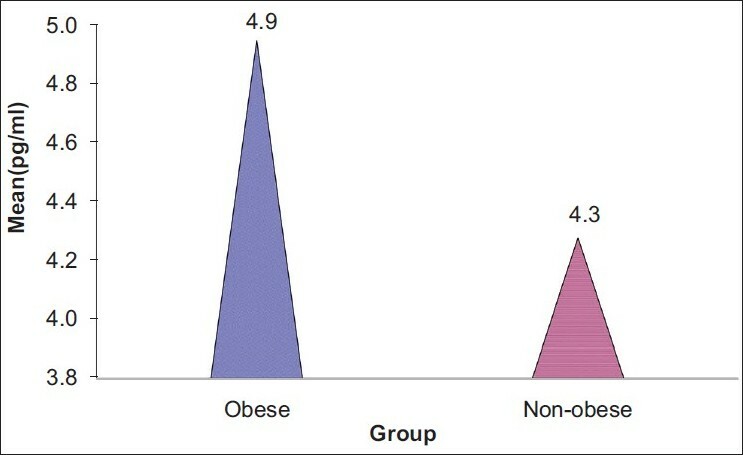 This indicates that obesity may be detrimental to the periodontal health of individuals. Aim: The aim of this study was (1) To investigate the viability of bacteria within supragingival and subgingival calculus, (2) To examine motility of bacteria, and (3) To identify bacterial morphotypes in calculus. 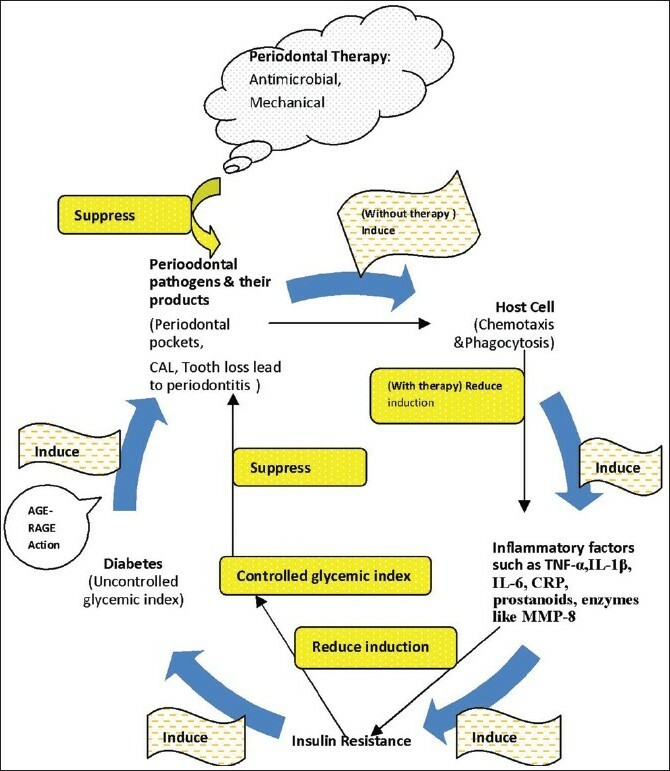 Materials and Methods: Supra and subgingival calculus were harvested from 30 subjects having clinical evidence of chronic inflammatory periodontal disease and were divided into two groups . 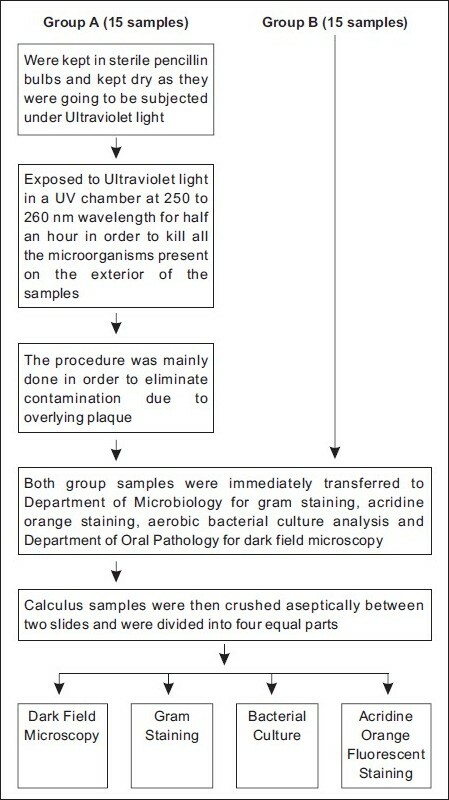 Samples from both groups were immediately transported to the Department of Microbiology for gram staining, acridine orange staining, bacterial culture and to the Department of Oral Pathology for dark field microscopy. Results: Gram staining revealed presence of bacteria within the samples. Dark field microscopic examination revealed presence of filamentous organisms, spirochetes, and motile short bacilli. Acridine orange fluorescent stain showed that the viable bacteria appeared apple green. Bacterial culture revealed presence of a variety of aerobic organisms. Conclusion: From the results, it appeared that viable bacteria were present within calculus especially within internal channels and lacunae. Aim: The aim of this study was to evaluate the relationship between periodontal disease and general health status in adults using the serum albumin concentration. Materials and Methods: A total of 100 patients of both genders with age range of 40 to 70 years were included in the study. Patients were divided into the following two groups: clinically healthy subjects and patients with periodontitis, that is, loss of attachment ≥5 mm. Dental examinations were carried out at baseline and clinical attachment levels were measured at four sites. Serum albumin concentration was estimated by bromocresol green albumin method. Results: The mean serum albumin levels for Group I was 4.47 g/dl with standard deviation (SD) of 0.276 and for Group II, the mean value of serum albumin was 4.61 g/dl with SD of 0.273. Using Student's unpaired 't' test, the difference between the serum albumin levels in Group I and Group II were found to be statistically significant (P=0.020). The mean body mass index values for Group I was 22.63 with a SD of 3.85, whereas the same for Group II was 22.23 with a SD of 4.21, which were on comparison, found to be nonsignificant (P=0.462). Conclusion: The findings of the clinical trial suggest an inverse relationship between the serum albumin concentration and chronic periodontal disease. 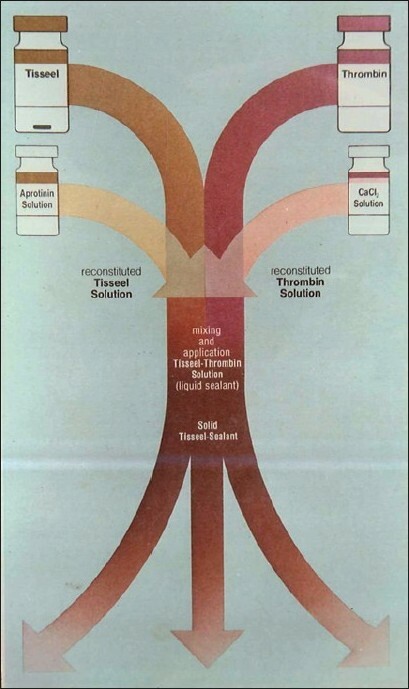 Aims and Objectives: To evaluate the efficacy of fibrin adhesive sealant (Tisseel® ), a human biological tissue adhesive, as compared to conventional suture placement in pocket elimination and mucogingival surgical procedures. Materials and Methods: The study sample consisted of 25 patients (10 male and 15 female patients), in the age group of 25-40 years, with localized periodontitis in relation to the anterior region of the maxilla and mandible. They were divided into three surgical groups: Group I, Group II and Group III. Each of these groups was further divided into control and experimental groups. In all the control groups, the flaps/grafts were approximated with 4-0 black braided silk. 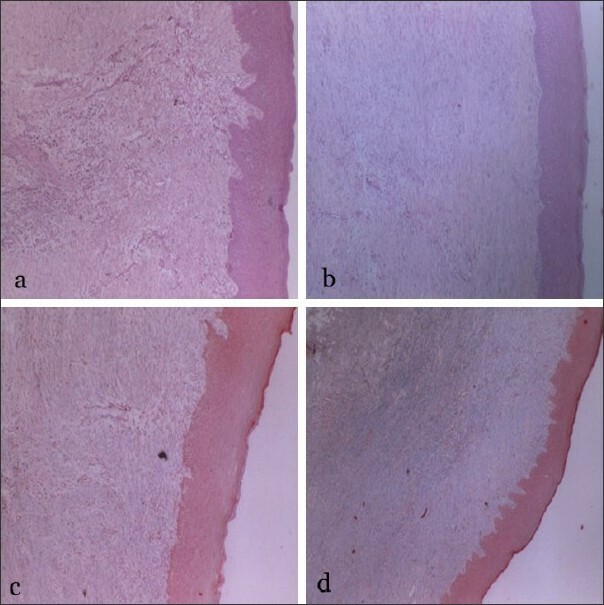 In the experimental groups, the flaps/grafts were approximated with fibrin adhesive sealant (Tisseel; ). Clinical parameters were taken pre-operatively.operatively and post-operatively on the 1 st , 2 nd , 3 rd , 7 th , and 10 th , day. Results: The Fibrin Adhesive System (FAS) showed superior results in all the parameters measured, i.e., hemostasis, fixation of tissues, reduction in plaque and gingival index and probing depth postoperatively. Conclusion: The results of this study indicate that periodontal surgery using FAS enhances various periodontal regenerative surgical procedures. Aim: This study was conducted to analyze and compare the oral hygiene and periodontal status in patients with clefts of palate (CP) and patients with unilateral cleft lip, palate and alveolus (UCLPA). Materials and Methods: The study group consisted of 120 cleft patients. Subjects were divided into two groups of 60 each. Group I - patients with UCLPA and Group II - patients with CP. For comparison, all the four quadrants were defined, Q1-right upper quadrant, Q2-left upper quadrant, Q3-left lower quadrant and Q4-right lower quadrant, in both groups and the following parameters were recorded: Plaque Index (PI, Silness and Loe), Sulcus Bleeding Index (SBI, Muhlemann and Son), Probing Pocket Depth (PPD), Clinical Attachment Level (CAL), Mobility Index (Miller) and Radiographic Amount of Bone Loss. Results: The periodontal destruction was seen to be higher in UCLPA patients compared with CP patients. The poor oral hygiene status, as indicated by higher values of PI, and the periodontal status, evaluated by SBI, PPD, CAL, mobility and Radiographic Amount of Bone Loss, were higher in patients with UCLPA than in patients with CP. Conclusion: In this study, patients with cleft lip, palate and alveolus had poor oral hygiene and periodontal status compared with patients with cleft palate. Background : Free gingival grafts have been used extensively for gingival augmentation procedures, but are associated with postoperative morbidity because of the open palatal wound. This study compares the clinical efficiency of two dressing materials, a non-eugenol-based dressing (Coe-Pak™) and a collagen dressing (Colla Cote® ) on palatal wound healing. Materials and Methods : Thirty-two patients in the age group of 25−50 years, who required gingival augmentation, were selected. Free gingival graft was harvested from the palatal mucosa and the wound was then protected using Coe-pak; in control group and Colla Cote; in test group. The subjective parameters pain and burning sensation were recorded on the 2 nd and 7 th day and the objective parameters colour and consistency were recorded on the 7 th and 42 nd day, using a visual analog scale. Thickness of the mucosa was measured using K file at baseline and 42 nd day. Histological examination was done on 42 nd day. Results : The subjective and objective parameters showed significant improvement in the test group when compared to control group. Histologically, there was a greater evidence of collagen formation and turn over in the test group than control group. Conclusions : Collagen-based dressing may thus offer significantly greater advantages over the traditional non-eugenol dressings. Aims and Objectives : To assess the efficacy of flapless implant surgery on soft-tissue profile and to compare the clinical outcomes of flapless implant therapy on immediate loading (IL) implants to delayed loading (DL) implants. Materials and Methods : The study sample consisted of 20 patients who were partially edentulous in the anterior maxillary region. They were divided into two groups. In group I (IL) 10 implants were placed and immediately provisionalized and restored with a metal ceramic crown on the 14th day. In group II (DL) 10 implants were placed and loaded after 4 months. Single-piece implants were used for the IL group and two-piece implants were used for the DL group. All soft tissue parameters i.e., modified plaque index (mPI), modified bleeding index (mBI), papillary index (PPI), marginal level of soft tissue (ML) and width of keratinized mucosa (WKM) were recorded at baseline, Day 60, Day 120 and Day 180. Results: The success rate in group I was found to be 80%, which was lower than the success rate in group II which was found to be 90%. On comparison, there is no statistically significant difference in success rate between the two study groups. There was no statistically significant difference between the groups over time in parameters like mPI, mBI, ML and WKM. The mean PPI score in group II showed a significant increase from when compared to group I. Conclusion: The results of this study indicated that flapless implant surgery using either immediately loading implants or DL implants, demonstrate enhancement of implant esthetics. Introduction: It is a well established fact that periodontitis is caused by a group of highly specific microorganisms, organized as a bio-film on the tooth surface. Hence, therapeutic modalities are directed against elimination or adequate suppression of these organisms. Thorough debridement of these sites is possible mainly by scaling and root planing (SRP) and open- flap debridement in deeper sites. Open- flap debridement includes conventional surgical procedures such as the modified Widman flap procedure. Surgical procedures, however, have a number of disadvantages and hence efforts have been on at improving various non-surgical approaches, which are directed more specifically at the microbial nature of periodontal disease. Use of local drug-delivery devices is one such approach. The combined therapy of SRP and local drug delivery has been showing promising results in improving all the parameters in periodontal disease. Materials and Methods: This study compares the clinical, as well as, microbiological results of a split-mouth trial using modified Widman flap and non-surgical therapy of SRP and the use of a controlled release drug-delivery device (Chlorhexidine chip), in the management of moderate to deep pockets. Results and Conclusion: The results showed that the non-surgical most sites subjected to the non-surgical treatment were found to be maintainable without further deterioration, during the study period. Aim: To evaluate the clinical and metabolic changes following nonsurgical periodontal therapy of type-2 diabetic patients and nondiabetic patients. Materials and Methods: Fifteen nondiabetics and fifteen type-2 diabetics with moderate to severe periodontitis were selected after meeting inclusion and exclusion criteria. Periodontal pocket probing was performed using a Williams graduated periodontal probe and comparisons of the clinical and biochemical parameters like plaque index, gingival index, probing depth, glycated hemoglobin, and lipid profile (total cholesterol, high density lipoprotein, low density lipoprotein, triglycerides and very low density lipoprotein) were done between and within two groups at baseline and 3 month. Results: A correlation was observed between clinical and biochemical parameters between and within two groups at baseline and 3 month. The P value of diabetic group was<0.001 in all clinical parameters (plaque index PI, Gingival index GI, and Probing Pocket Depth PPD) in diabetic and nondiabetic group, showed statistically highly significant difference in GI, PI, PPD, <.01 in Glycated Hemoglobulin (HbAlc1) in test group and<0.05 in control group showed statistically significant difference. The P value of test group was >0.05 in Lipid profile (total cholesterol, low density lipoprotein, high density lipoprotein, serum triglyceride, very low density lipoprotein) that showed no significant difference and in control group<0.05 in total Cholesterol, high density lipoprotein and <0.01 in Low density lipoprotein, Very Low Density Lipoprotein, and Serum Triglyceride, respectively, showed statistically significant in Total cholesterol, Low density lipoprotein, Very Low Density Lipoprotein, and Serum Triglyceride, not significant in high density lipoprotein. The P value >0.05 showed no statistical significance of correlation between the test and control groups. Conclusion: Both groups of patients showed an improvement in clinical and metabolic parameters assessed at 3 months after nonsurgical periodontal therapy. Idiopathic gingival enlargement is a proliferative fibrous lesion of the gingival tissue that causes esthetic and functional problems. Both genetically and pharmacologically induced forms of gingival enlargement exist. This case report addresses the diagnosis and treatment of a case of idiopathic gingival enlargement in a 13-year-old female. The patient presented with generalized diffuse gingival enlargement involving the maxillary and mandibular arches extending on buccal and lingual/palatal surfaces and covering incisal / occlusal third of the tooth resulting in difficulty in speech and mastication since last three years. Patient also gave a history of surgical treatment being carried out four years back in upper anterior region suggesting of recurrence. Biopsy report confirmed the diagnosis of gingival hyperplasia. Gingivectomy was carried out in all four quadrants by using four different methods. A clinical report describing the successful use of the lip repositioning technique for the reduction of excessive gingival display. A female patient aged 34 years reported with a chief complaint of gummy smile and was treated with this technique performed under local anesthesia with the main objective to reduce gummy smile by limiting the retraction of elevator muscles (e.g., zygomaticus minor, levator anguli, orbicularis oris, and levator labii superioris). The technique is fulfilled by removing a strip of mucosa from maxillary buccal vestibule and creating a partial thickness flap between mucogingival junction and upperlip musculature, and suturing the lip mucosa with mucogingival junction, resulting in a narrow vestibule and restricted muscle pull, thereby reducing gingival display. Placement of endosseous implants into infected bone is often deferred or avoided due to fear of failure. However, with the development of guided bone regeneration [GBR], some implantologists have reported successful implant placement in infected sockets, even those with fenestration defects. We had the opportunity to compare the osseointegration of an immediate implant placed in an infected site associated with a large buccal fenestration created by the removal of a root stump with that of a delayed implant placed 5 years after extraction. Both implants were placed in the same patient, in the same dental quadrant by the same implantologist. GBR was used with the fenestration defect being filled with demineralized bone graft* and covered with collagen membrane**. Both implants were osseointegrated and functional when followed up after 12 months. Papillon-Lefevre syndrome is a rare (1-4 cases per million) autosomal recessive disorder showing predominantly oral and dermatological manifestations in the form of aggressive periodontitis affecting both primary and permanent dentition and palmoplantar hyperkeratosis. 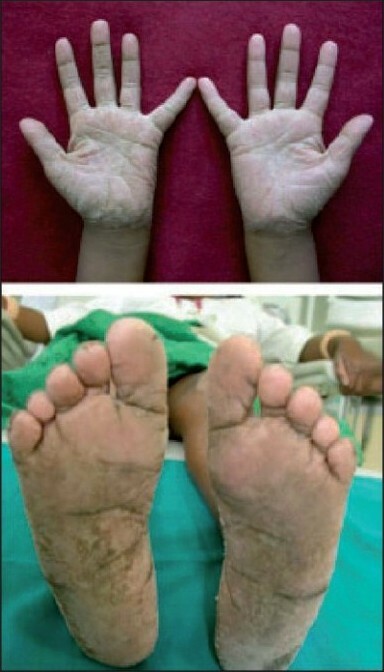 Genetic studies have shown that mutations in the major gene locus of chromosome 11q14 with loss of function of cathepsin C gene are responsible for Papillon-Lefevre syndrome. This report presents two siblings with classic signs and symptoms of Papillon-Lefevre syndrome. The exact cause for periodontal destruction in patients with Papillon-Lefevre syndrome is not known but it is thought to be due to defect in neutrophil function, immune suppression and mutations in cathepsin C gene. Gingival enlargement is one of the side effects associated with certain drugs. Amlodipine, a calcium channel blocker, used as antihypertensive drug has been found associated with gingival hyperplasia. 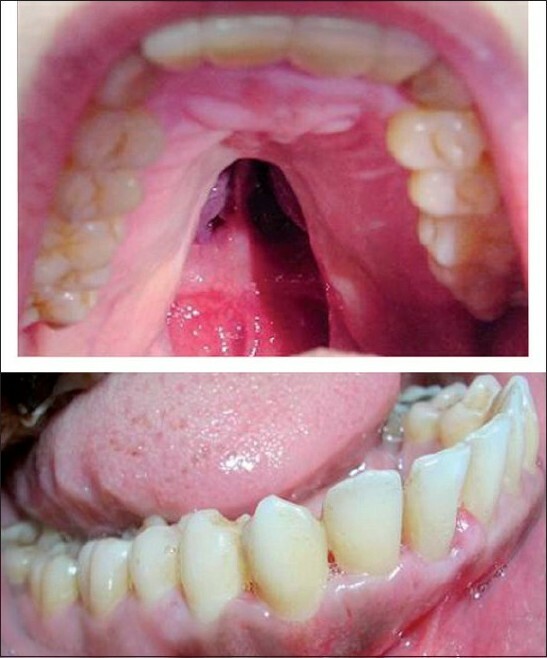 This case series presents diagnosis and management of amlodipine-induced gingival hyperplasia. 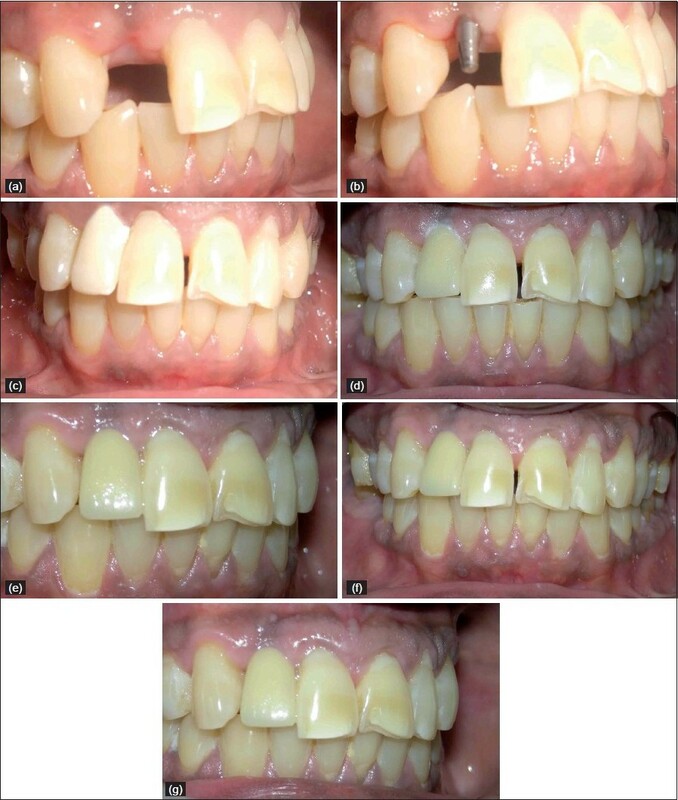 Amlodipine-induced gingival enlargement was diagnosed and managed by thorough scaling and root planning. 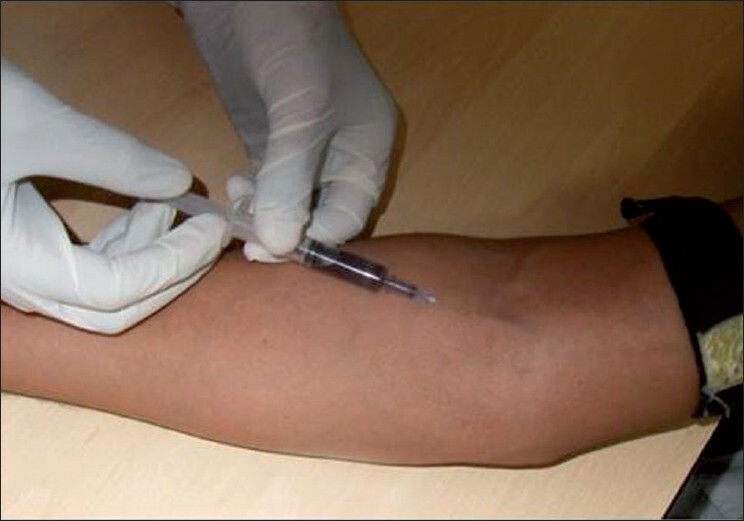 Drug substitution and surgical intervention was performed in first two cases. The pathogenesis of gingival enlargement is uncertain and the treatment is still largely limited to the maintenance of an improved level of oral hygiene and surgical removal of the overgrown tissue. Several factors may influence the relationship between the drugs and gingival tissues as discussed by Seymour et al. Meticulous oral hygiene maintenance, switchover to alternative drug, professional scaling and root planning and surgical excision of enlarged gingival tissue may help overcome the effect of these drugs. Monitoring infections which are episodic, site specific, localized or generalized, initiated by a number of microorganisms and assessed with measurement devices that have inherent shortcomings presents a difficult task. The lack of precise clinical criteria for assessment of periodontal disease has led to a search for alternative means of determining active disease sites, predicting future sites of breakdown and evaluating response to therapy. This paper highlights the potential array of biomarkers present in gingival crevice fluid (GCF) and provides an insight of which of these factors has the greatest diagnostic potential. The rationale behind using GCF as sampling source is also described. Finally it discusses the possible use of predictive chair side diagnostic tests in periodontitis. In the new era of esthetics, Orthodontic therapy has gained tremendous acceptance by adults. However,treating adults is more challenging as they present with multiple periodontal problems compromising orthodontic treatment. Hence, to provide optimal treatment to adult patients an active interaction between orthodontist and periodontist is imperative.This article addresses the dilemmas encountered during the treatment of orthodontic patients with periodontal defects.